A living trust, like all trusts, is a legal entity that holds and manages property that an individual, called a beneficiary, will receive at a later time. A trustee is charged with managing trust property. A living trust is sometimes called a revocable trust because the trust creator --also called the trust settlor or grantor -- can change or revoke the trust during his lifetime. He can also act as the initial trustee. Once the settlor dies, the trust becomes irrevocable, meaning that it can no longer be changed or revoked. Many married couples use a living trust to manage assets during their lifetime and avoid probate when one or both spouses die. The living trust can also break off into separate trusts when one spouse dies to ensure that the surviving spouse is cared for, and also to reduce adverse tax consequences. 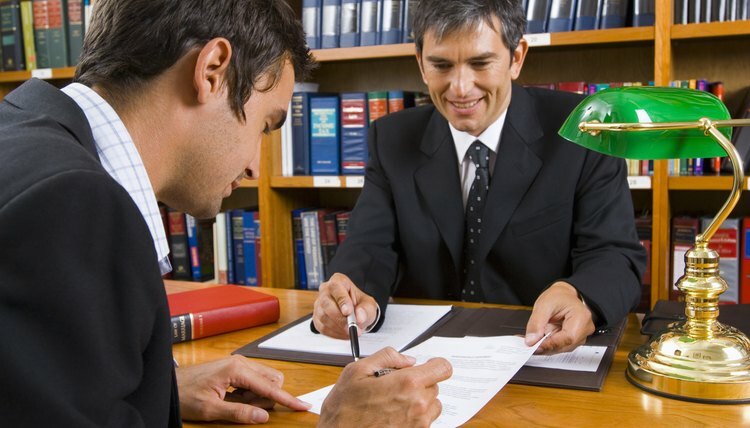 The most popular reason individuals use a living trust is to avoid probate. When someone dies with only a will, his property is subject to probate. Probate is the process by which the court authenticates a will, and the personal representative, or executor, is given authority to manage the estate. Probate can be lengthy and expensive. A living trust avoids probate because assets that would otherwise be subject to probate are titled to the trustee of the living trust. When the grantor dies, these assets are distributed according to the terms of the trust, with no court supervision. A living trust allows the grantor to retain control over the trust assets during his lifetime. Since the grantor can also act as trustee, he can make changes to the trust or revoke the trust in its entirety, with no court intervention. A living trust also allows the grantor to pass property privately upon his death. When a probate estate is opened, the proceedings become public record. Heirs, including those not named in the will, most likely will need to be notified of the proceedings, and may be entitled to a copy of the will. Since distributing property from a living trust does not require court supervision, only the trustee and the beneficiaries need to know what property is distributed and to whom. A well-drafted living trust can also provide estate tax advantages. An estate tax is levied against an estate of a certain value. There is a federal estate tax, and some states impose a separate estate tax. The current federal estate tax exemption is $5.25 million, meaning that the first $5.25 million of an estate is not subject to the federal estate tax. Obviously, most of us do not need to be concerned with federal estate taxes. However, for those with large estates, it is imperative that a living trust be drafted by a competent attorney so that the grantor can take full advantage of all estate tax exemptions. The Zucker Law Firm PLLC: Should Couples Use Joint or Separate Trusts?